Geothermal Energy will change the way people live. At least, that's the goal of Dr. Peter Cork's research. The reality, though, is that he's barely getting by. Stuck in the isolated town of Last Chance, Colorado, he lives in a trailer which doubles as his lab. His funding has been cut, his fellowship ends soon, and mysterious earthquakes keep ravaging his equipment. Naturally, none of the students who have been sent to work as his research assistant are willing to stay. Peter's last hope is his newest intern, Grace Hudson. If she chooses to leave, instead of sending a replacement his department will immediately shut down the entire research project. He would have picked anyone else. She's spoiled, moody, bossy, and—worst of all—she couldn't care less about geology. 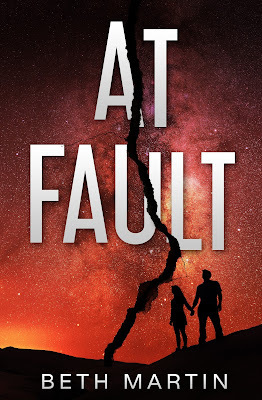 While Peter desperately tries to get Grace interested in his research, the unexplained earthquakes grow in intensity. As North America literally tears apart, not only will his research be on the line, but also their lives.